Want A Date With An Agent At The Dublin Writers Festival? Dreaming of writing a bestseller? Five leading agents are looking for you! The Dublin Writers Festival Date With An Agent is Ireland’s largest ever talent-spotting event. We are looking for 60 top quality authors to pitch their work to 5 leading literary agents keen to sign new talent. 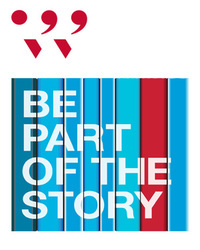 To be in with a chance to take part in the event, submit the first 10,000 words of your book in hard copy with a 1,000 word synopsis, a 500 word author biography and the completed Application Form (available from the Dublin Writers Festival website) and €10 entry fee (if using TicketSolve, include a copy of your ticket) – please ensure that ONLY your book title is on the pages of your submission as all applications will be judged anonymously. Please staple the synopsis and chapters together firmly, and the Application Form and author biography together seperately from the chapters. The closing date for applications is midnight on 27th March, please ensure you allow sufficient time for delivery. Items postmarked up to 26th March will be accepted. Please note you may be asked to supply additional material. Successful applicants will take part in a full day workshop, (inclusive of lunch and all refreshments, this will cost €50 ). Two places will be subsidised by writing.ie for the unwaged and will be available at a 50% discount. The day will open with a panel discussion where the selected authors can find out what the agents are looking for, what’s hot at the moment and quiz them in a Q&A session. In a speed-dating style event, each author will have 10 minutes to pitch their book and discuss their work face to face with an agent who is expert in their genre. Where relevant agents will request to see full manuscripts or make recommendations for project development. While the pitching takes place, Vanessa Fox O’Loughlin will discuss what catches an agents eye, how the publishing process works, and give tips on creating an author profile to the remainder of the group. 10.00 Writers Arrive – coffee, meet and mingle.